Change is inevitable. 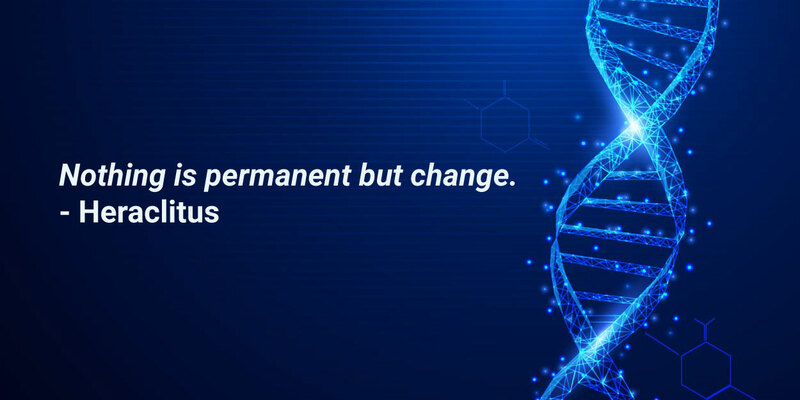 Often necessary, change is a requisite ingredient for innovation. To achieve greatness, change must be welcomed. You may have noticed our website has a new look, but the changes we are making at DNASTAR go beyond skin-deep. We are refocusing our website and digital content to address the evolving needs and experiences of today’s researchers. As part of this change, we at DNASTAR are rebooting our blog to deliver even more engaging and impactful content that pushes the standard for excellence. Our goal is to present meaningful and original content on topics relevant to today’s life scientists. With leading scientists on staff and thousands of world-class researchers as our users, we are uniquely positioned to provide insights into cutting-edge topics related to bioinformatics. We’re not afraid to include controversial topics or points of view, and are committed to delivering a blog experience that is markedly different from other life science blogs. We consider our new blog to be a two-way conversation, and welcome any feedback, comments or topic suggestions. If you find a post to be useful or interesting, we’d love for you to share it with your colleagues or friends. Please check back over the next weeks for articles about de novo transcriptome sequencing and data analysis, maintenance of research and sequencing data, and more! Thank you for your attention and interest in DNASTAR.